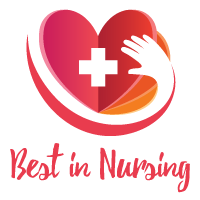 Chai-Chih Huang, Director of Pediatric Nursing at Mattel Children’s Hospital at UCLA, has been recognized as a “Leader in Nursing” among “America’s Best Nurses” for 2017. Chai-Chih Huang will be sharing her knowledge and expertise in the field of the management and care of Pediatric patients. With a passion for building caring relationships and motivated to make a difference in the lives of children, Chai-Chih Huang became inspired to begin a career in Pediatric Nursing. Her goal is to utilize her knowledge and continue to service children worldwide through medical missions and promoting global health for children. As a Director of Pediatric Nursing, her day to day responsibilities are providing oversight to day to day operations, which include but are not limited to patient progression, bed management, budget, staffing, ensuring quality work is provided to pediatric patients, rounding with MDs and RNs, and the mentoring and coaching of over two-hundred staff members at Mattel Children’s Hospital at UCLA. Mattel Children’s Hospital at UCLA is an Acute Care facility specializing in the physical and emotional well-being of children of all ages including infants, children, and adolescents. This children hospital provides state-of-the art treatments for children in a caring and compassionate atmosphere, where family centered care is incorporated. Mattel Children’s Hospital at UCLA also uses evidence based research and innovation advancement to improve the understanding and treatment of pediatric diseases. Mattel Children’s Hospital at UCLA is ranked among thirty most technologically advanced children’s hospital in the world. In 1996, Chai-Chih Huang received her Bachelors of Science in Nursing Degree from University of California, Los Angeles (UCLA). Subsequently, she received her Master of Science in Nursing from UCLA in 2004. 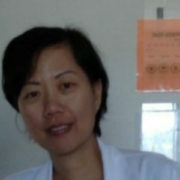 In addition, Ms. Huang holds the title of Board Certified Nurse Executive and Certified Pediatric Nurse. She has spent six years in her current role and has accumulated twenty years within the Healthcare Industry. Chai-Chih Huang is actively involved with the American Organization of Nurse Executives (AONE), The Advisory Board Academy, and International Medical Missions. She is honored to have been a recipient of Director of the Year at UCLA in both 2013 and 2015. Among the many accomplishments in her career, Ms. Huang is proud to shared her knowledge of Pediatrics by speaking at various lectures. She is happy to be able to make a difference in the lives of families, patients, and her staff members at UCLA. Ms. Huang attributes her success to being a positive person. She always is looking for a solution when facing obstacles and takes the challenges as opportunities to find innovations. She also enjoys engaging her patients and staff members as part of the solutions. Chai-Chih Huang practice karate regularly, obtaining gold and bronze medals at the Shotokan Tournaments in Camarillo 2015 and Palm Springs 2016. During her free time, she enjoys traveling and hopes to continue her education with further schooling and certifications. Provides daily oversight, including but not limited to: patient progression, bed management, budget, staffing, ensuring quality work provided, rounding with MDs/RNs, mentoring and coaching of over 200 staff members at Mattel Children’s Hospital at UCLA.